Refurbishment and fit-out of commercial building at Queen Street, Ballymena. The 14 week project involved the strip out along with internal demolition work to the former Raglan Bar along with building, mechanical & electrical and fit-out work. Working closely with HBK Architects along with other consultants and supply chain members the building was converted into a new state-of the-art facility complete with three new offices, a public area, a teller area, strong room, security lobby, kitchenette and DDA compliant toilets. It has been a pleasure to work with all the team at martin & hamilton throughout this phase of the overall Raglan renovation project. martin & hamilton has delivered a first class building, finished to a very high specification and it will serve us as the registered and principal office of Slemish n tha Braid Credit Union for many years to come". Further phased development to the building facing onto the public car park is planned for the future including lettable retail units, offices, community spaces, a penthouse meeting room and a roof garden. 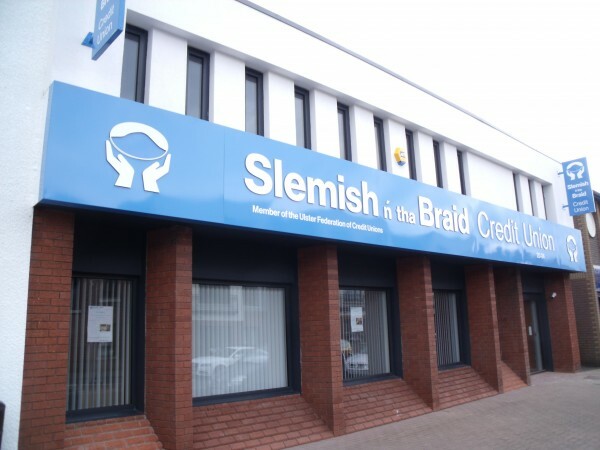 A bit more information about the the Slemish n tha Braid Credit Union project.